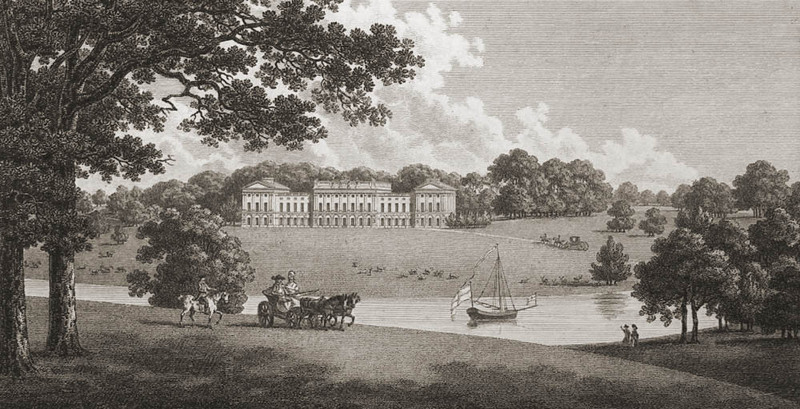 From Francis Young, regarding Heveningham Hall and Moreton Hall near Bury St. Edmonds. Heveningham is an area of previous alleged sightings in the 1920s which include the mention of a clanking chain, it is one of the archetypal associations with The Black Dog (see also the Tchen Al Tchinne in the Walloon area of France and Belgium and Black Shook in North Norfolk). The area is not far from Blythburgh where the folklore is especially embedded and also features an area called The Devil’s Field and Devil’s Lane, this could plausibly indicate a causal link to the Grim somewhere in the past other than the sixteenth century associations. Whether there is any archaeological or historical evidence of burial mounds or pits in the area that may have grown into an association I don’t know. If anyone does have any information by all means leave a comment below. In the second case it is particularly interesting that the ‘big cat’ is mentioned, it leads me to wonder what it is that may or may not have made the folklore shift, is it a drift away from something that is seen as supernatural to something which is more acceptable; an escaped animal from a wildlife park or a colony of wild cats living a feral life in the countryside. “I have two incidents from my family, all of whom are from Suffolk. My wife’s maternal grandfather was running an errand in a horse-drawn vehicle at some point in the early 1920s (I can’t be more specific, I’m afraid) through Heveningham Hall Park, which has a public road running through it surrounded by metal railings. He saw ‘black shuck’, a dog much larger than normal (about the size of a small deer) with large, red eyes. Being a Suffolk man born and bred he knew that looking into shuck’s eyes brings bad luck and even death, so he averted his eyes. About ten years ago a strange incident occurred at Moreton Hall, a housing estate just outside Bury St Edmunds where my mother was working. She took a walk in the garden of her place of work just after dusk and thought she saw a large, dark animal of some kind lying stretched out on the branch of a cedar; she distinctly saw a tail curve up over the creature’s body. Naturally, she went inside and a about half an hour later she saw blue lights as a police car drew up outside. Two policemen reported that local residents had reported seeing a black ‘puma’ and advised everyone to keep inside until they had carried out an investigation. My mother never heard anything further and I don’t think the incident ever made it to the local paper.